Twenty-five-year-old Jack Sparrow is a clean-cut merchant seaman pursuing a legitimate career as a first mate for the East India Trading Company. He sometimes thinks back to his boyhood pirating days, but he doesn’t miss Teague’s scrutiny or the constant threat of the noose. Besides, he doesn’t have much choice—he broke the Code when he freed a friend who had been accused of rogue piracy, and he can no longer show his face in Shipwreck Cove. When Jack’s ship is attacked by pirates and his captain dies in the altercation, he suddenly finds himself in command. The wily sailor’s skillful negotiations with the pirate captain—who turns out to be a woman from his past—result in a favorable outcome that puts Jack in line for an official promotion. 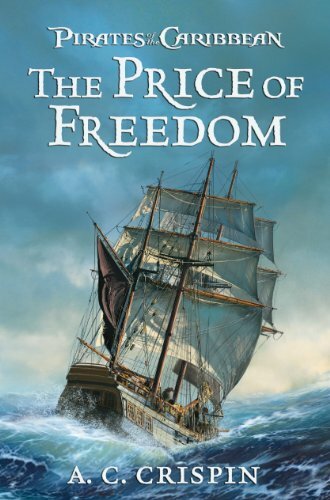 I was lucky to have been sent a galley of The Price of Freedom by the nice Disney folks, and then found out that the galley was quite a bit different from the soon-to-be published book. So I waited and purchased a copy of A.C. Crispin's The Price of Freedom from Amazon.com, as my book seller didn't have it in stock. By the way, it STILL doesn't have a copy in stock. I am reviewing my own copy of the book. I was really excited to hear that a "prequel" to the Pirates of the Caribbean movies was being written that would give us some of the back story for good old, gotta love him, bless his heart, CAPTAIN Jack Sparrow! I really wanted to like this book! I"m a huge, life long fan of all things Disney and more recently, Capt. Jack and the four movies! As kids, our parents took us to Disneyland every summer, and on one trip, this sign appeared: "Coming soon: Pirates of the Caribbean!" Even as a kid I was already in love with those Disney pirates! 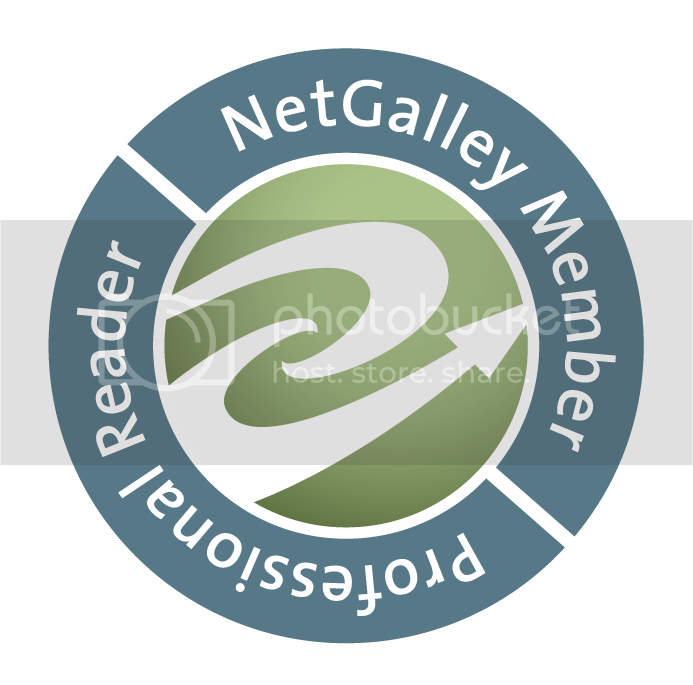 I put off writing this review because I thought, with some time, that I'd be more fond of it. Maybe I expected something else. The book is twice as long as it needs to be at 672 pages and I felt somewhat confused about what the book was supposed to be. Adventure? Romance? Fantasy? Pirate fiction? Historical fiction? All of the above? Pick several of the above? I think it's clear to see and appreciate the research and attention to detail that author, A.C. (Ann) Crispin has done. Ms. Crispin has said that she worked on this back story for three years and it shows! Her geographical situations and attention detail as well as to old world myths and lore are spot on and brilliant. She really followed the POTC "canon." She's simply done a fantastic job of putting the story in its proper and well defined pirate world! She certainly "kept to the pirate code!" For me, however, I had huge issues with one plot line in particular, the slavery issue. While historically correct, I didn't feel it added to the back story. I felt that another plot could have given us what we needed to know about Jack, and trimmed the plot by a couple of hundred pages. I found myself skimming pages and skipping long bits of nautical terms repeatedly as it didn't move the story forward. Maybe I wanted more piratey, scally wag-ish behavior from the young Jack? I enjoyed what she wrote about Shipwreck Cove and especially enjoyed learning the history of Cutler Beckett and how his life experiences marked him. And of course, that lead to what "mark" Beckett left on Jack Sparrow and how he came to captain the Black Pearl. All in all, I wanted more in the way of a pirate adventure. I was a bit uncomfortable with Jack's involvement with two ladies at the same time. I sometimes got the feeling that I was reading a tacky romance novel instead of a pirate adventure. Other times, just the opposite. Especially when it came to the characters that we know, Teague, Davy Jones and Barbossa most especially! Those parts of the The Price of Freedom worked well for me. Just not so much with his interaction with the princess Ayisha, at the same time he was with his main love interest Esmerelda, who reminded me a whole lot of the Angelica love interest from On Stranger Tides. SO much so that I kept waiting to learn that Esmerelda changed her name to Angelica and learned that her father was Blackbeard. On the whole, it's an enjoyable read, I know a lot of people who enjoyed it! So I'm giving it a cautious 3 1/2 stars out of 5. I do thank Disney for sending me the galley, but as I said, in the end, I reviewed the finished novel I purchased for myself.